When millions of dollars are on the line in a divorce case, Stuart R. Manoff knows how to build a compelling case for his clients. “I enjoy handling complex financial matters and working closely with forensic accountants to uncover any concealed bank accounts or other assets,” says Manoff, principal of Stuart R. Manoff & Associates in West Palm Beach. Since it usually takes considerable time for a person to achieve a high income and accumulate wealth, Manoff says many of his clients involved in complex, high-end divorces are in their 40s, 50s or 60s with adult children. “In handling higher-asset cases, it’s usually the finances — not the children — that are the contentious issues in a divorce,” he adds. Another positive change in family law is the Legislature’s ability to mitigate the issue of child custody, which has been a traditional “hot button” in divorce cases. Parents would argue about who would be the primary custodial parent, which was often more of a label than anything else, Manoff says. Moving to a system of “shared parental responsibility” with time-sharing has defused a lot of the emotional strife that had become synonymous with marital and family law. A board-certified marital and family law attorney for 20 years, and a practicing attorney for nearly 30 years, Manoff has handled a number of high-profile cases, including representing the interests of “Baby Emily” in a 1994-1995 custody case between the child’s adoptive parents and birth father. The Florida Supreme Court ultimately ruled in favor of the Plantation couple who had adopted and raised the 3-year-old girl. Manoff was born in New Jersey. He earned his undergraduate degree at the University of Maryland, College Park, before attending law school at the University of Miami. Although his father, Yale, hoped Manoff would join his law practice in New Jersey, Manoff decided to stay in South Florida. Manoff spent seven years building his practice, eventually adding a partner to handle non-family law matters for the firm. 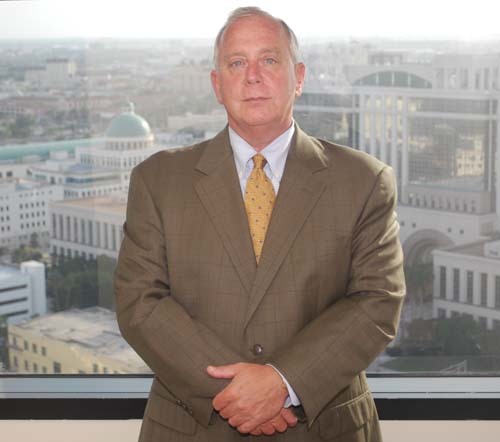 In 1992, he joined longtime West Palm Beach family law attorney Joel Weissman, and practiced there for five years before opening his own firm again.